New independent game development studio Protobird Games announced their Kickstarter to support development of the upcoming kids’ mobile trading card game, The Dreamland Chronicles. Adapting the award-winning web comic series by Scott Christian Sava, the game is currently in development for iPad, with an Android release as the Kickstarter’s first stretch goal. Protobird will debut their work-in-progress at PAX East in Boston, MA at Booth #1035. The Kickstarter campaign can be viewed at dreamlandcardgame.com. Founded in 2013 by game industry veterans Parker Davis (Tomb Raider, Red Dead Redemption) and Scott Hyman (Star Wars: Battlefront, Tony Hawk’s Motion), Protobird Games launched development of the first mobile trading card game for kids after the founders could not find such an app appropriate for their young sons. 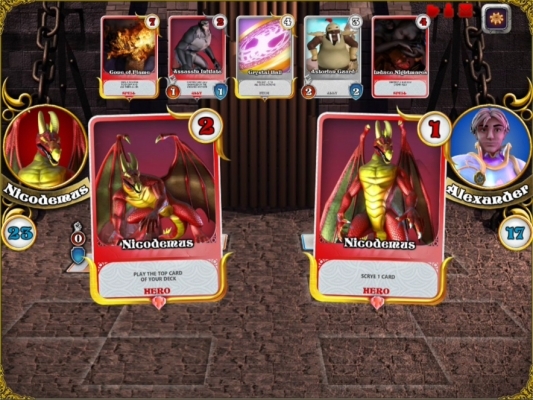 The app boasts unique features for a mobile trading card game, such as animated characters battling in a Final Fantasy style turn-based showcase arena and “virtual toy” character cards that level up, come to life and react when kids tap and swipe them. Previews of the game have excited game industry veterans. “I like the all-ages game experience Protobird is making,” said David Jaffe, founder of The Bartlet Jones Detective Agency and the creative force behind God of War and Twisted Metal. 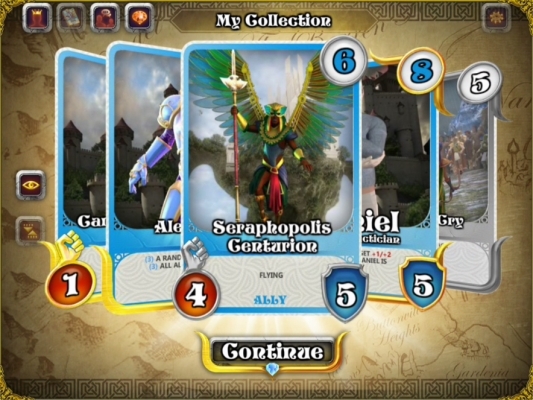 “The Dreamland Chronicles updates the card collecting and games I enjoyed as a kid. I can’t wait to play with my daughters and see how they enjoy it with their friends.” Based on Scott Sava’s rich and vibrant Dreamland Chronicles web comic universe, The Dreamland Chronicles card game spotlights the feature-film quality 3D animated characters and environment artwork directly from the original pages. “Kickstarter is the perfect place to introduce The Dreamland Chronicles to the gaming community,” founder Scott Hyman said. “From avid trading card game fans to gamer parents like ourselves to the web comic’s core supporters, everyone has embraced Kickstarter as the best place to discover new, exciting independent projects.” The team is working towards a goal of raising $35,000 via the crowdfunding platform. The campaign includes stretch goals related to additional platforms, more content, and better bonuses for project backers. To ensure the safety of young players online, Protobird Games is partnering with Privacy Vaults Online (PRIVO), a third-party Children’s Online Privacy Protection Act (COPPA) Safe Harbor and identity & consent service provider. PRIVO enables websites, apps, games and other online services to comply with COPPA when they interact with and market to children online under the age of 13.